Sketched this tonight but wanted to create my fly without legs but then didn’t really like him without legs but didn’t want to just add them on. So he has his legs with him — just not attached. 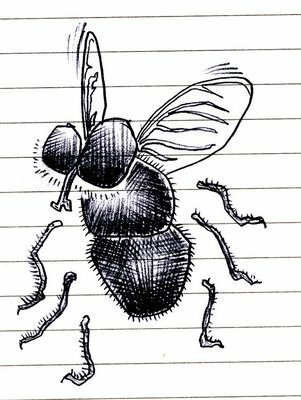 That got me to thinking about a guy in 7th grade that showed me how to catch a fly, remove its wings and then tie a ‘leash’ around its neck with a hair pulled from his own head. Then he’d have a pet for the day — a fly on a leash. Same guy showed me how he liked to let the butane from his lighter soak into his jeans leg and then light it under his desk. A big whoosh of flames would blow out from beneath his desk top. 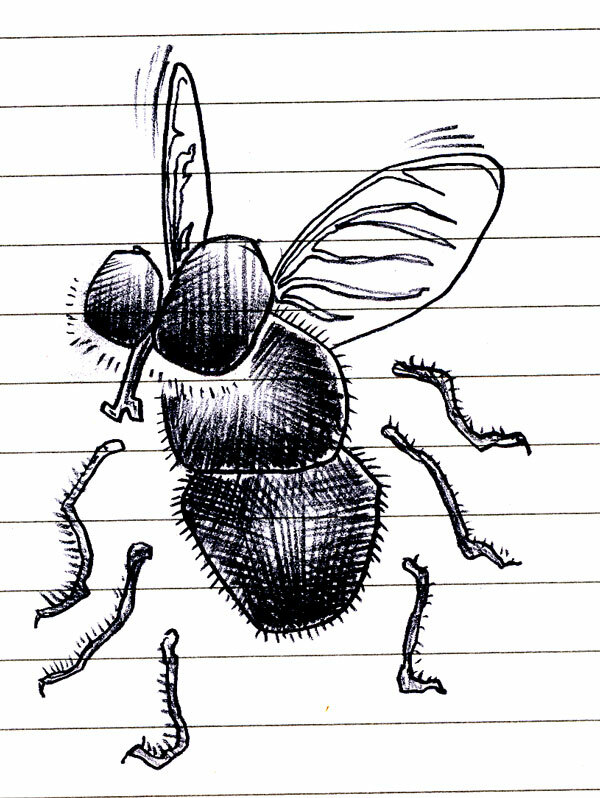 This entry was posted in 7th_grade, fly, lighter. Bookmark the permalink.